PetSmart is alerting its customers about a bacterial disease found in parakeets at its stores that can be transmitted to humans, but one suburban Chicago family says their warning came too late. The store has confirmed several cases of psittacosis, also known as parrot flu. When the bacterial infection is transferred to humans — in some cases through the bird’s droppings — victims may develop cold or flu-like symptoms similar to a respiratory illness usually within one to two weeks after exposure to an infected bird. The retailer says the infected birds have been traced to a single supplier and are asking anyone who purchased a parakeet from one of their stores between March 12 and May 20 to check their bird for illness. The birds have been pulled from more than 500 of the retailer’s stores. New Lenox resident Wendi O’Brien bought a parakeet at an Orland Hills PetSmart in April. 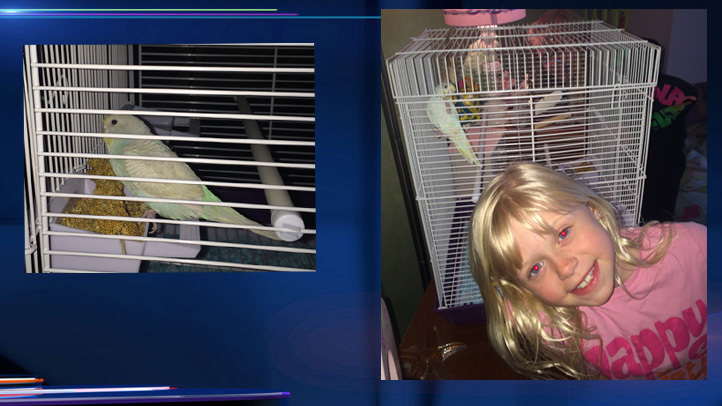 She learned about the sick birds after visiting the store to buy another on Tuesday night, and went she got home, her daughter discovered their pet was dead. “The parakeet was chirping before we left. We had dinner at grandma’s and we got home 9 o’clock and she started crying and brought the bird,” O’Brien said. O’Brien is upset because she says the store didn’t notify them about the problem with the parakeets, and her bird had been flying around the house and exposed to elderly pe ople and children at a birthday and graduation party. PetSmart officials says a letter was sent out June 11 to customers who bought parakeets during the pertinent time period. But now O’Brien says she’s worried because she and two other family members have been suffering from respiratory problems. “I just wish they were more proactive prior to so that so I could’ve avoided this so I didn’t need to have this health scare,” O’Brien said. PetSmart is encouraging anyone with a dead or sick bird to call the store so they can take it to an avian veterinarian for testing. Birds with psittacosis may appear to be drowsy or depressed, eat poorly and have runny eyes and noses. They may also sneeze, cough, have ruffled feathers or shiver. The bird’s droppings will often be watery. Humans showing symptoms are urged to see a physician. PetSmart officials say 16 cases of psittacosis have been confirmed at its stores across the country.